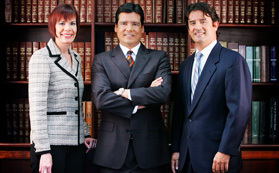 We represent the insurance industry in all aspects of its business, including regulatory issues, policy drafting, insurance coverage analysis and litigation, bad-faith litigation, risk assessment, and policyholder’s defense under all types of coverage, including property and casualty, financial lines, directors and officers, and surety. We have a proven track record in the defense of insurers involved in coverage issues under first-party and third-party policies. We regularly handle situations involving single-event building claims, as well as complex losses involving multiple locations caused by catastrophic events, such as the recent onslaught of hurricanes Irma and María. We also handle lawsuits involving agents and brokers, declaratory judgment actions, proceedings before administrative agencies, subrogation cases, and various other types of litigation, including class actions against property and casualty insurers.